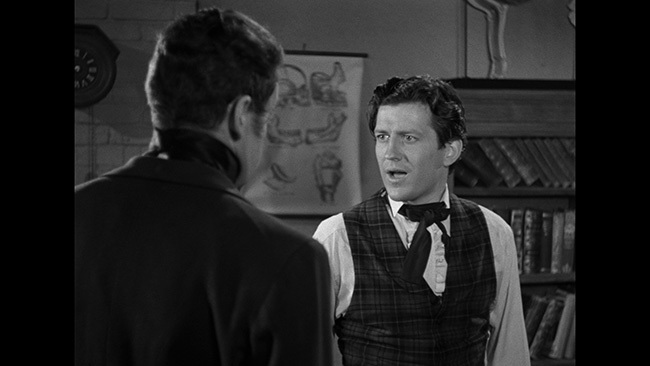 The Body Snatcher, Robert Wise’s 1945 film based on Robert Louis Stevenson’s novel of the same name, revolves around a medical teacher named Dr. Wolfe 'Toddy' MacFarlane (Henry Daniell) and those connected to him in the Edenborough of the early 1800’s. First up is Donald Fettes (Russell Wade), one of MacFarlane’s students and the man that he takes on as his assistant. Fettes is kindhearted and a man of conscience. We see this when a woman named Mrs. Marsh (Rita Corday), a widow, and her young daughter Georgina (Sharyn Moffett) show up at the MacFarlane residence. The girl has been paralyzed in an accident and her mother believes MacFarlane the only man capable of performing the operation that can help her walk again. 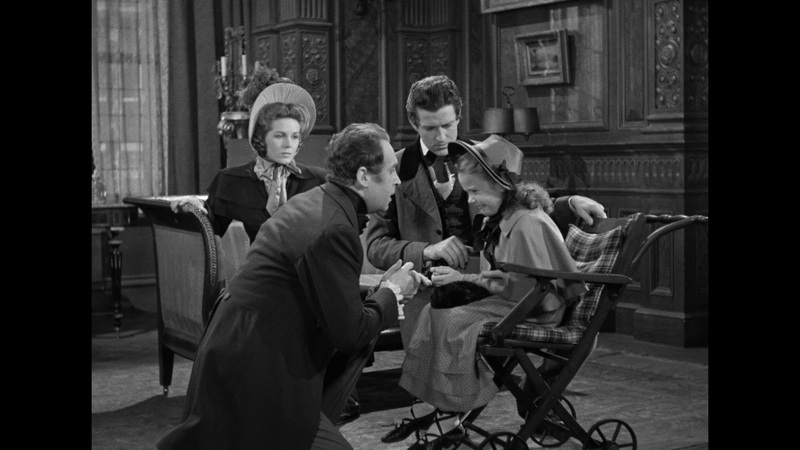 The doctor observes the girl and says that, yes, he could do it – but he won’t. He’s too buys teaching. Fettes takes sympathy on them and eventually plays a hand in talking the doctor into doing it. Meanwhile, MacFarlane’s school is running low on the cadavers that he needs to properly teach his students. 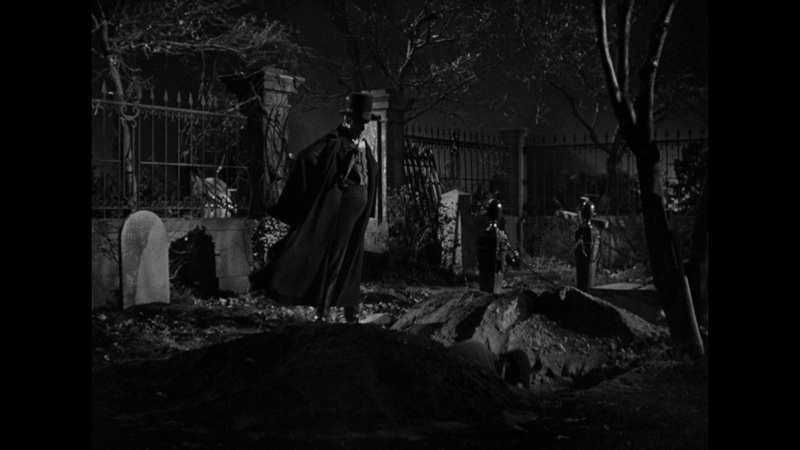 This is where a cabman named John Gray (Boris Karloff) comes into play. This creepy old man is only to happy to keep MacFarlane in all the dead bodies he could possibly need in order to keep his classes going smoothly, but this comes with a catch. As MacFarlane is paying Gray for his services, he’s just as guilty as the cabman himself and Gray knows this. When MacFarlane tries to sever the relationship, Gray will have none of it. As Fettes grows closer to the Marsh family, Gray becomes more aggressive causing MacFarlane, and in turn his assistant, to take drastic action. 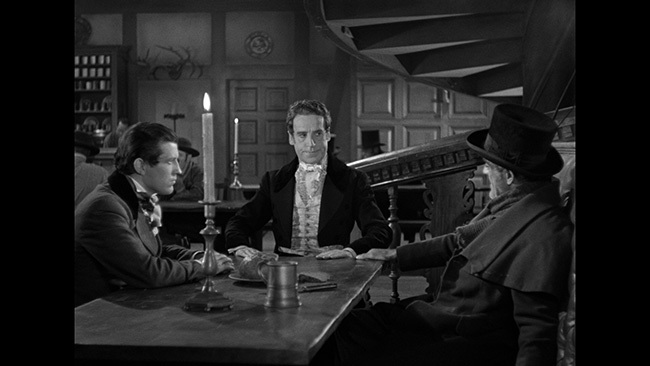 At seventy-seven-minutes in length, The Body Snatcher moves at a brisk pace but at the same time, is savvy enough to carve out some interesting characters for us to appreciate. Much of the credit for this goes to the cast and to the source material, but regardless, it works. Wise keeps the pace quick, but not too quick, and does a great job of keeping things tense and atmospheric, only occasionally veering into melodrama with the details of young Georgine’s plight (which may seem unnecessary but which does serve to nicely showcase the difference between MacFarlane and Fettes’ respective personalities and bedside manners!). 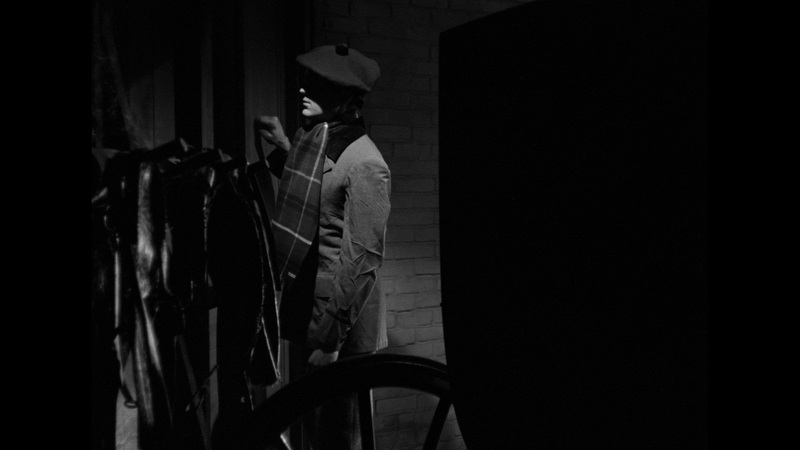 Robert De Grasse’s cinematography is often times delightfully eerie and frequently very shadowy. There are some great compositions here, and the way that the finale is shot ensures that it will stick with you long after the film finishes. Performances are pretty strong here. 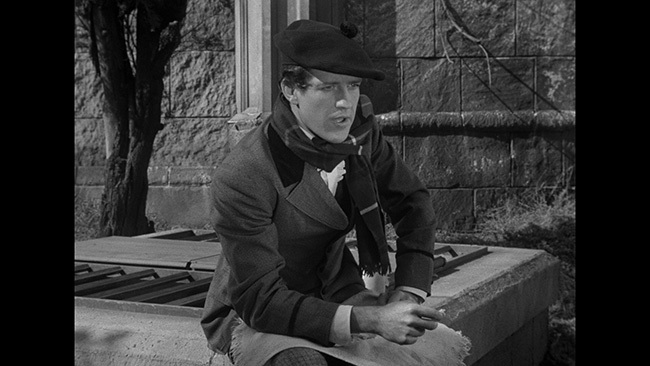 Daniell is very good as MacFarlane, he plays the snooty, arrogant type very well while at the same time, alluding, with his performance, to the character’s personal weakness and shady past. Wade is the polar opposite, his character is good and chaste, taken in by his mentor’s fast talking and impressed with his surgical pedigree, sure, but trying to do the right thing. 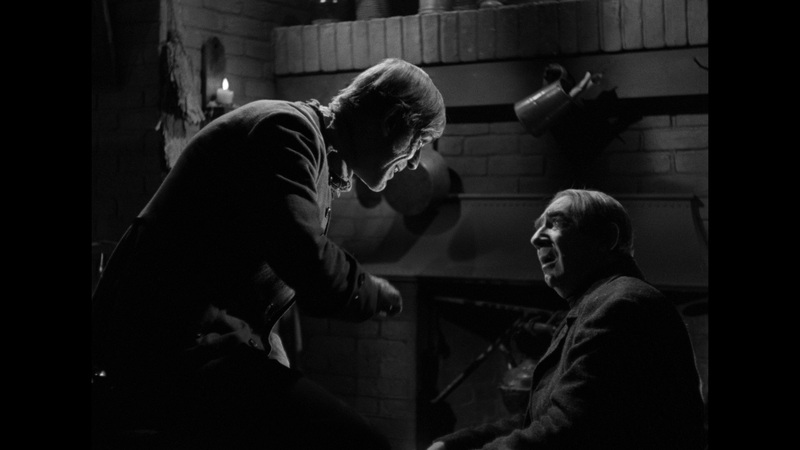 Corday and Moffett are mostly window dressing here, but they’re decent enough in their parts, and look for a brief but enjoyable supporting role for Bela Lugosi as Joseph, MacFarlane’s immigrant servant. He isn’t in the film for very long but his screen time is memorable. 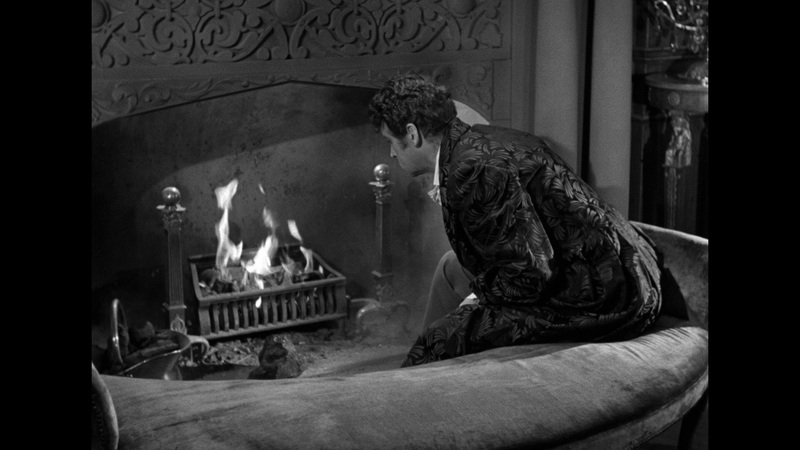 Of course, Karloff is the real star of the show. 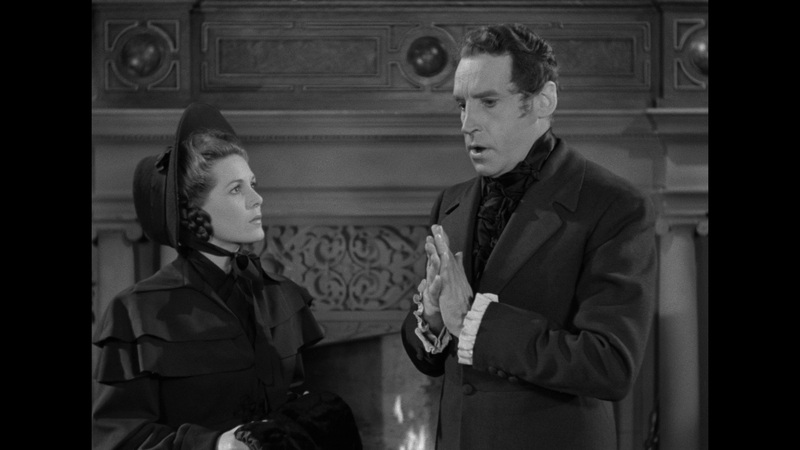 As John Gray he’s perfectly eerie, a large, lumbering man much smarter than his shabby appearance would have you believe. It’s a great part for him, one that allows him to make excellent use of his very distinct voice as well as his physicality – he just looks right in this role. Shout! 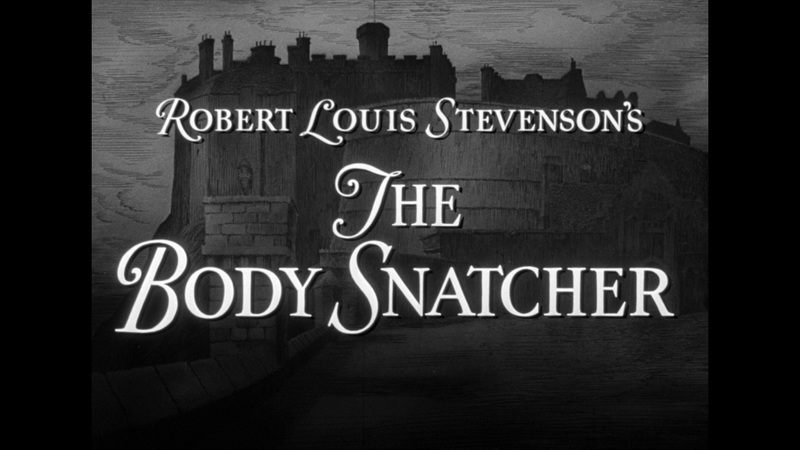 Factory brings The Body Snatcher to Blu-ray using an AVC encoded 1080p high definition transfer taken from a new 4K scan of the original camera negative and it looks fantastic. Presented on a 50GB disc, the picture shows excellent detail and texture and is free of any compression artifacts. 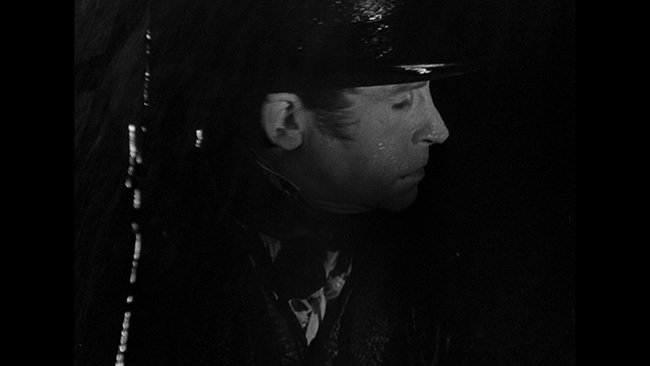 Black levels are nice and deep and the image shows a lot more depth than it ever did on DVD. Contrast looks spot on, with clean whites and a nice gray scale noticeable throughout, while the transfer exhibits no problems at all with any noise reduction or edge enhancement, retaining a nice filmic amount of natural grain and showing virtually no print damage at all. No complaints here! The English language DTS-HD Mono track on the disc is also of good quality. While understandably limited in range, the track is clean and properly balanced throughout. 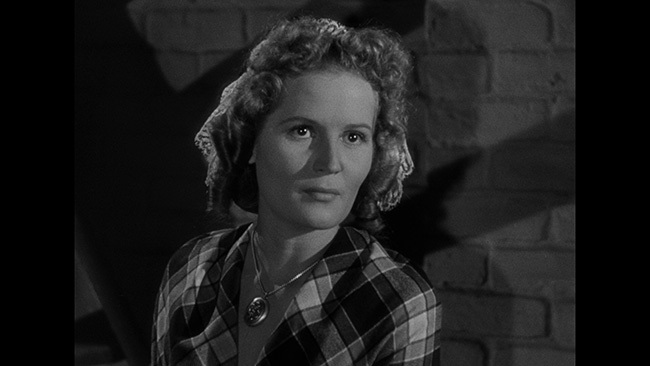 There are no problems to note with any hiss or distortion and the dialogue is clean and clear and easy to follow throughout the duration of the picture. Optional subtitles are provided in English only. 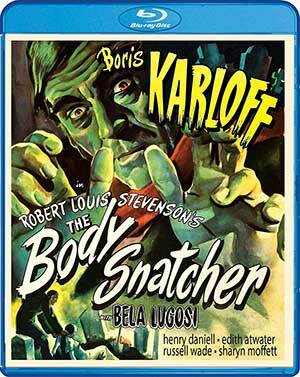 New to this release is You’ll Never Get Rid Of Me: Resurrecting The Body Snatcher. 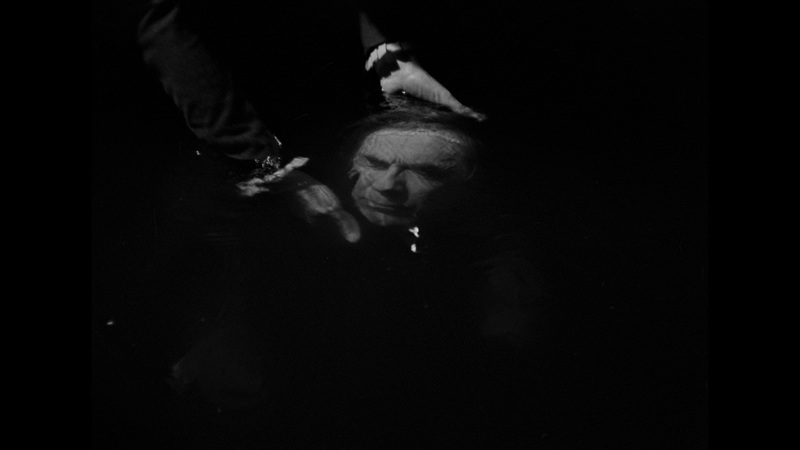 Here, over twelve-minutes, Gregory William Mank, the man who wrote Karloff And Lugosi: The Story Of A Haunting Collaboration, discusses what he considers to be the greatest horror film of the 1940’s. He covers the film’s intelligence, what makes it unique, the quality of the performances and the direction, the look of the film and much more. The rest of the extras are ported over from the old DVD release starting with an audio commentary featuring director Robert Wise and writer/film historian Steve Haberman. In this track, Wise talks solo for the first fifty-minutes or so, after which Haberman takes over. In Wise’s portion of the track we learn of his experiences on the set, what it was like working with the actors that were cast in the picture, his thoughts on the story, Lewton’s involvement and more. Haberman starts his portion of the talk by going over the film’s literary source material before then talking about changes that had to be made to the screen play and more. Also carried over is a documentary called Shadows In The Dark: The Val Lewton Legacy, which runs just over fifty-three-minutes in length that covers Lewton’s rise to prominence at RKO pictures and then how and why he came to be the man behind so many classic horror and thriller/mystery pictures of the day. There’s plenty of biographical information in here as well as insight from William Friedkin, Joe Dantes, Guillermo del Toro, Kim Newman and Steve Haberman to go alongside some pertinent clips from the different films under discussion. It’s well put together and quite interesting. Rounding out the extras are a few still galleries showing off some vintage posters, lobby cards and movie stills from the film’s theatrical release as well as menus and chapter selection options. The Body Snatcher holds up well, a legitimately atmospheric classic made all the better by some great performances and wonderfully atmospheric visuals. 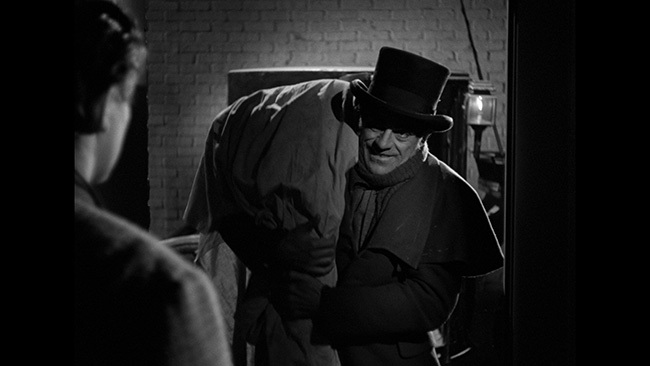 Karloff is the main attraction here, to be sure, but the rest of the cast all deliver very fine work as well. Shout! Factory’s Blu-ray release looks fantastic and not only does it carry over all of the extras from the older Warner Brothers DVD release, but it includes an interesting new featurette as well. Highly recommended! 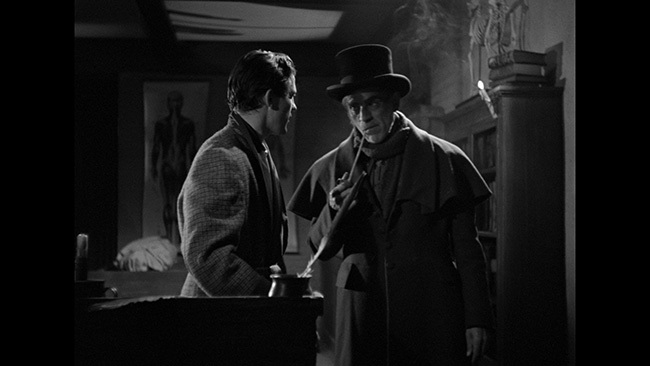 Click on the images below for full sized The The Body Snatcher Blu-ray screen caps!